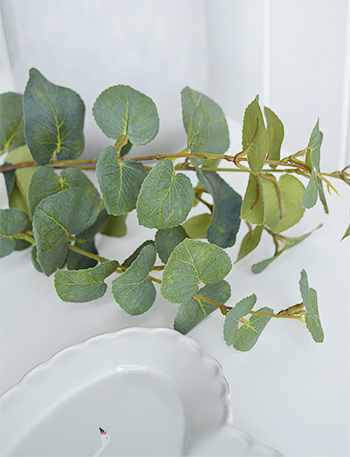 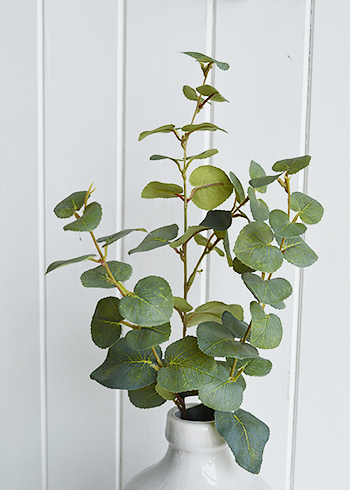 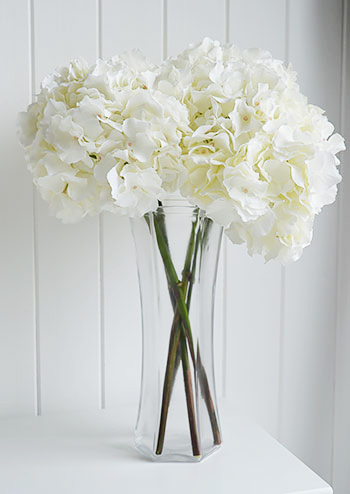 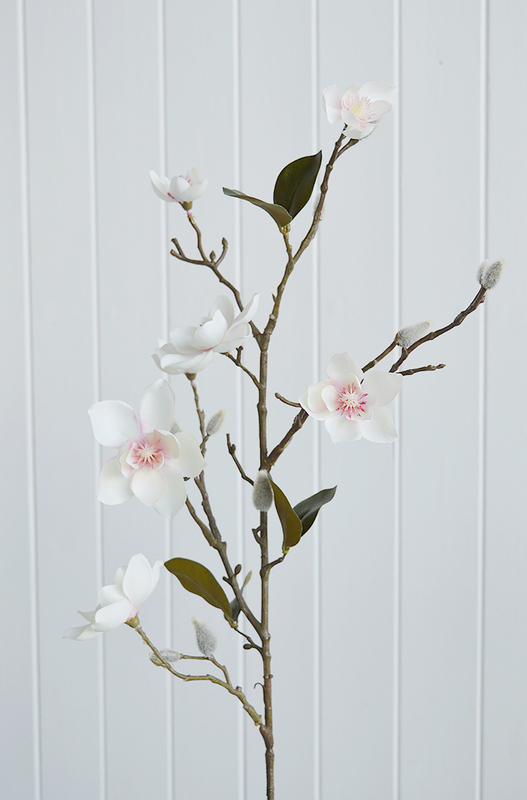 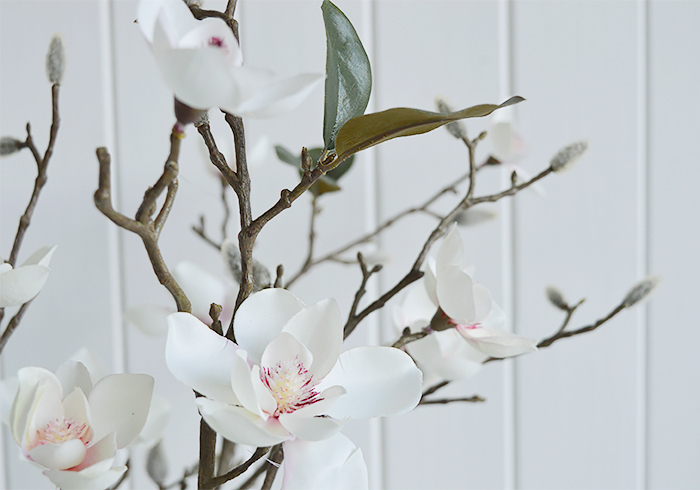 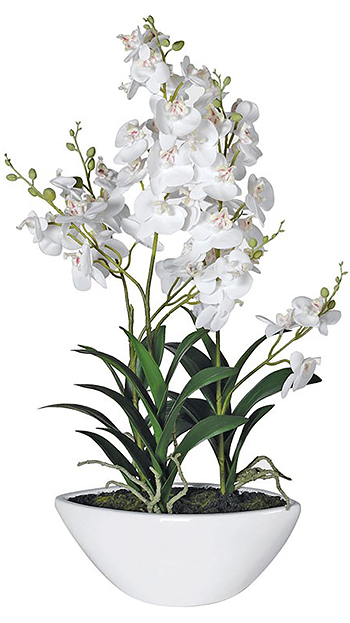 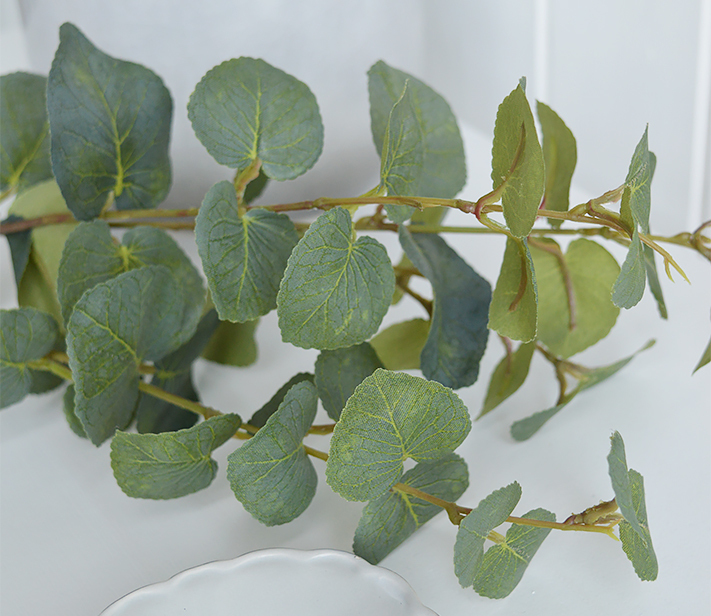 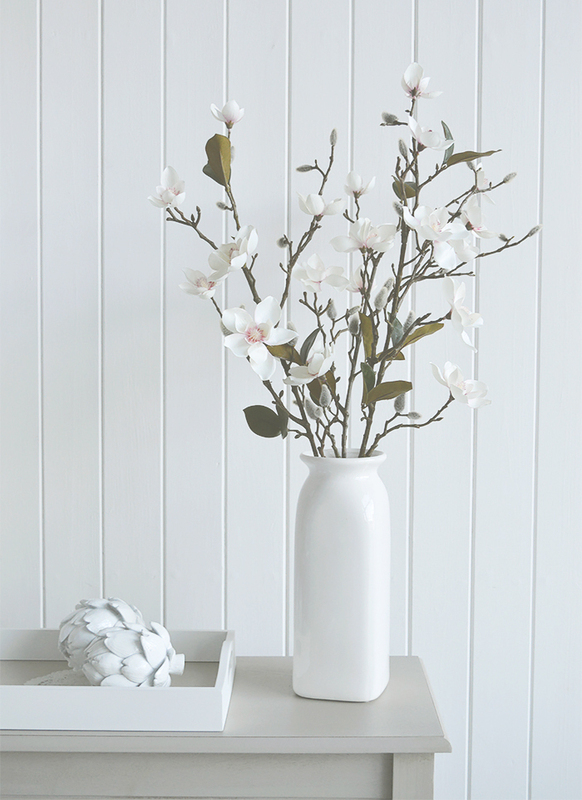 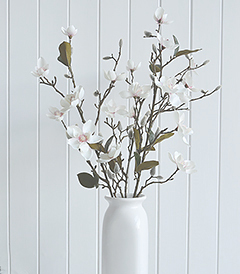 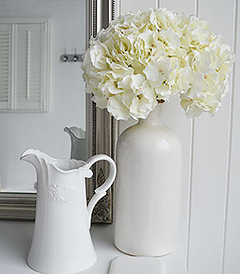 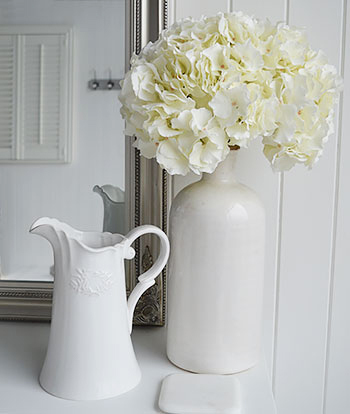 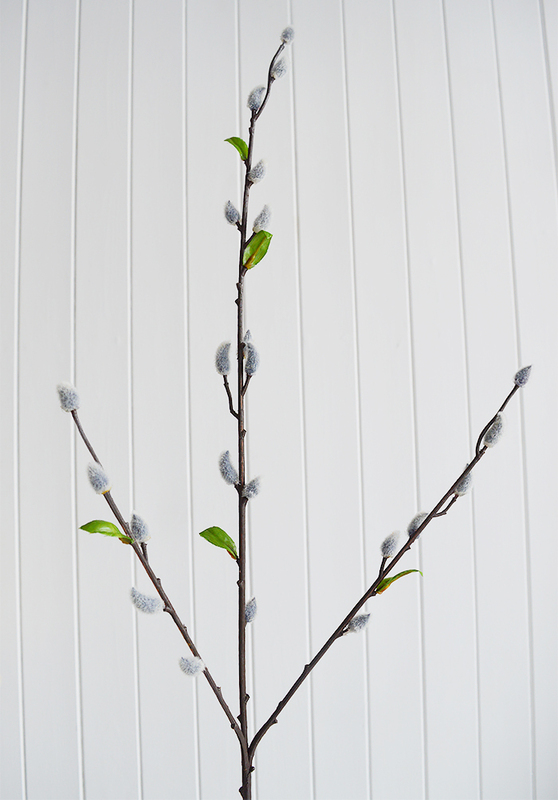 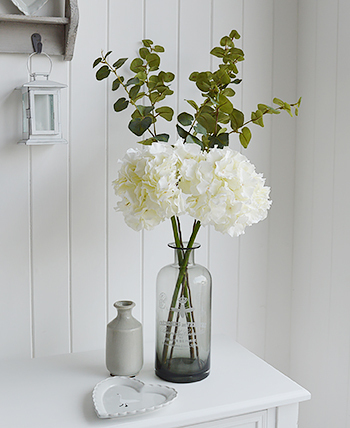 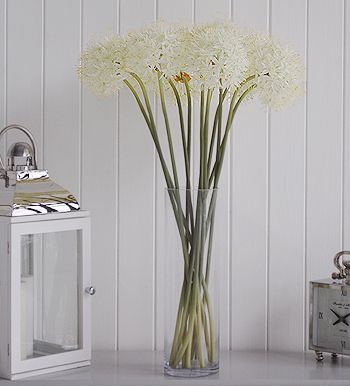 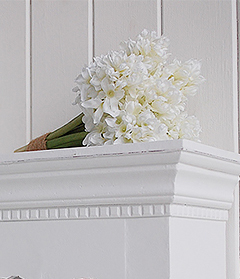 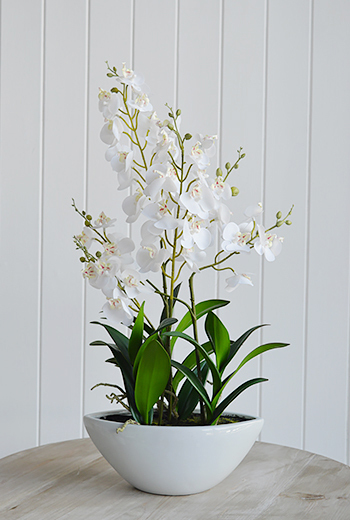 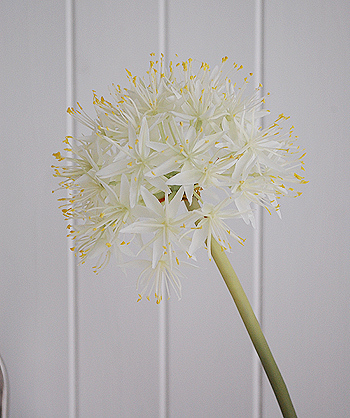 The white vase shows three stems in the photograph. 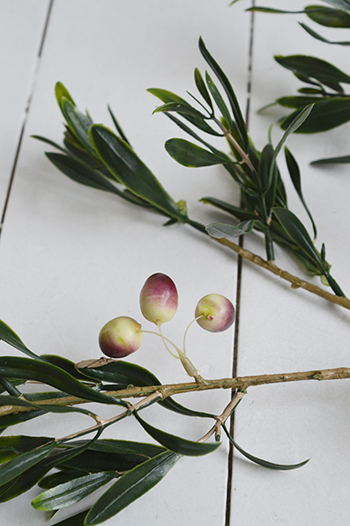 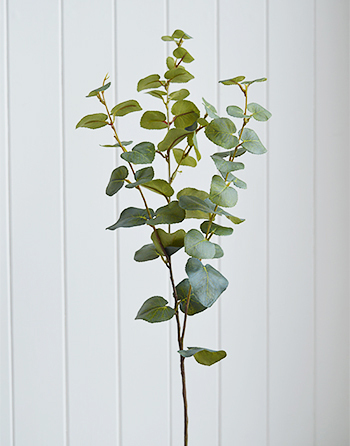 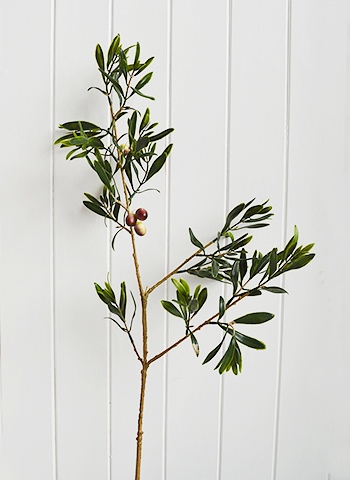 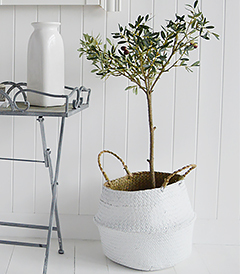 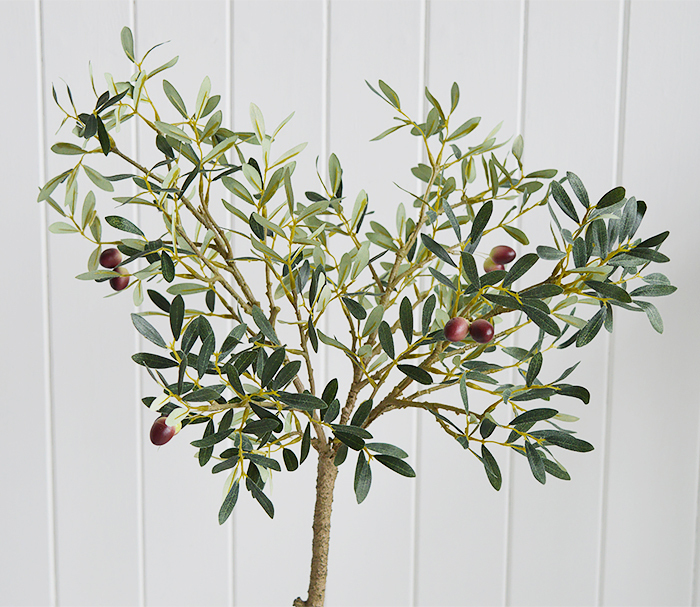 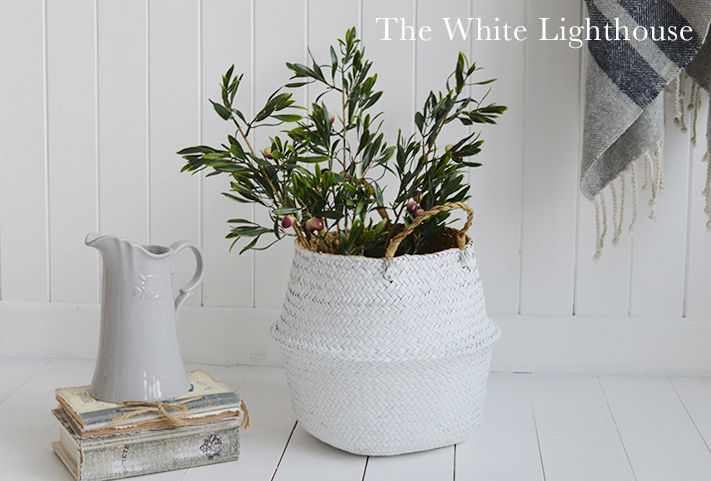 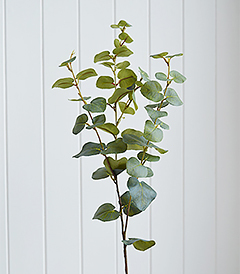 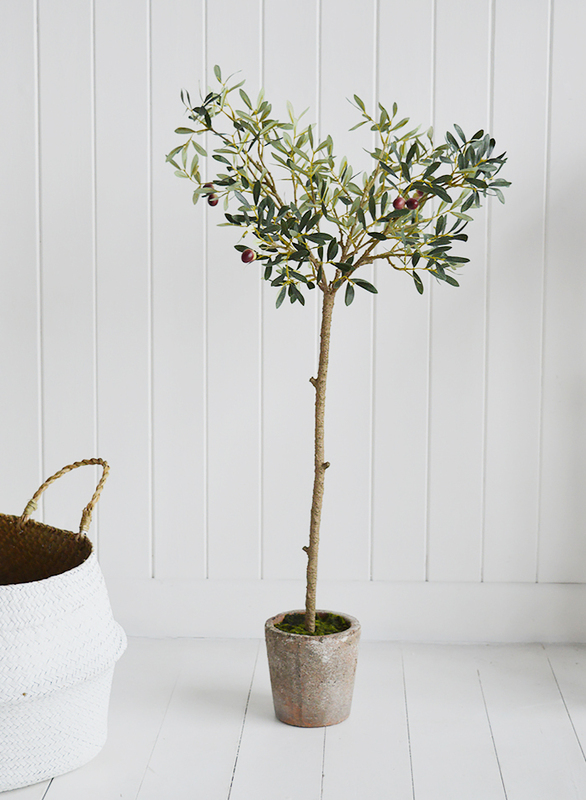 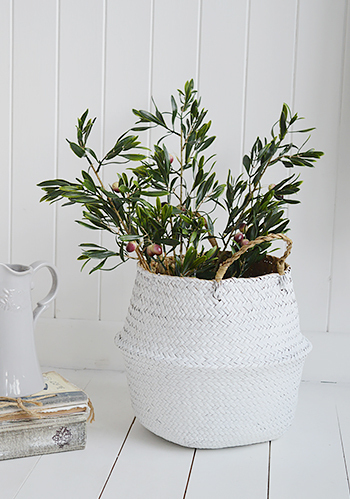 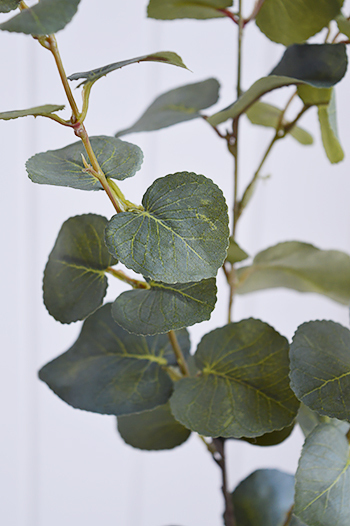 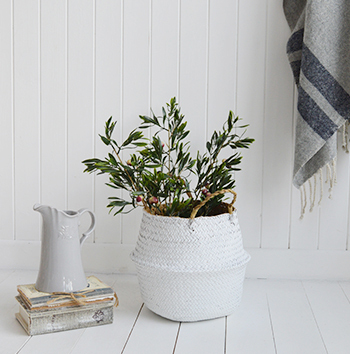 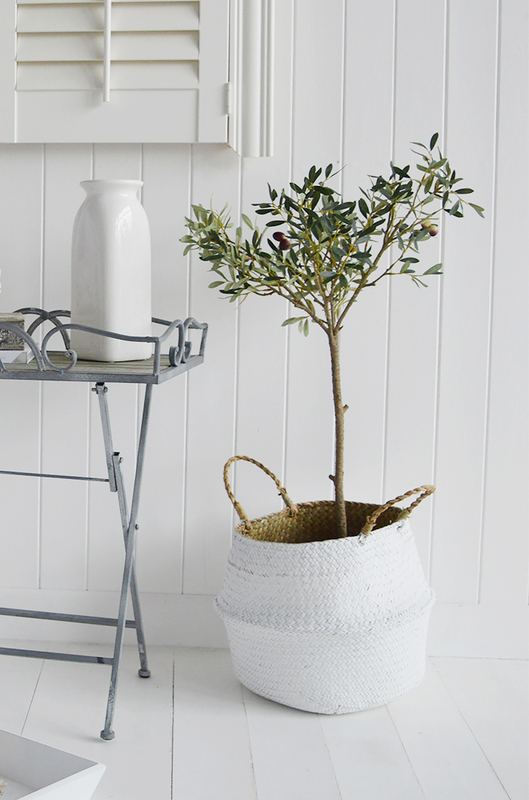 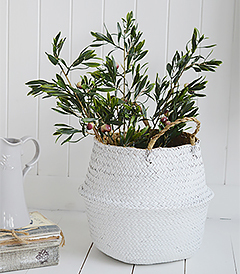 A fabulously gorgeous and realistic Olive Tree in a rustic pot. 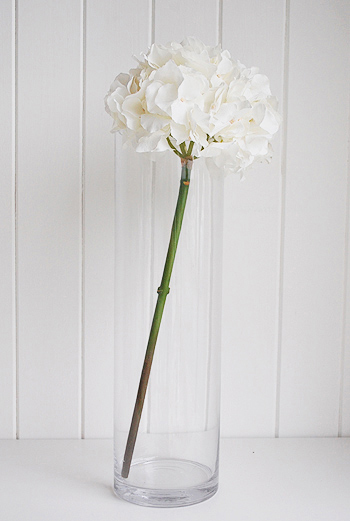 A large single stem of a white silk Hydrangea. 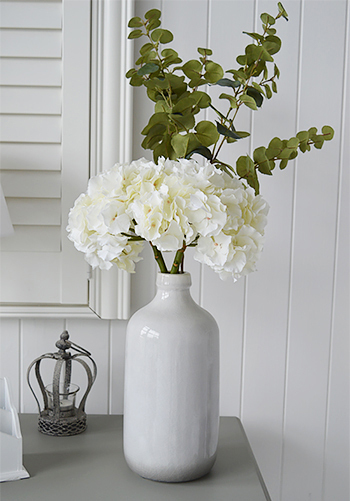 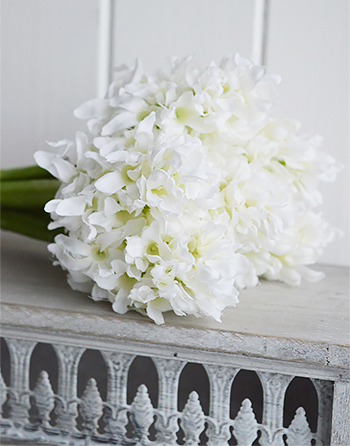 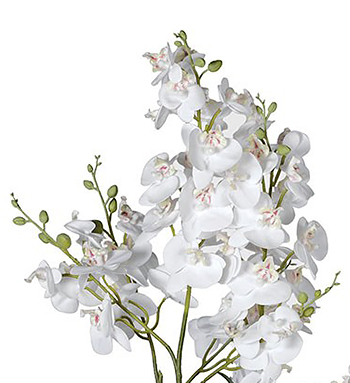 This is a very realistic and gorgeous looking stem of white Hydrangea, bunched together they are absoultely fabulous and will save you a small fortune as they last for years! 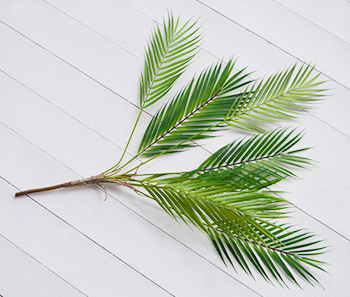 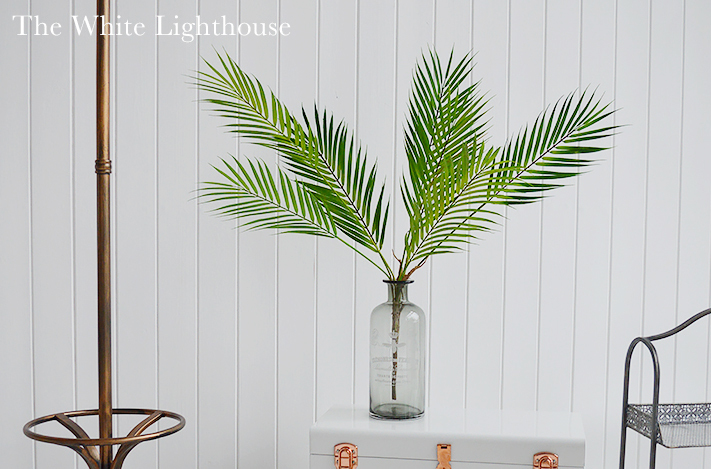 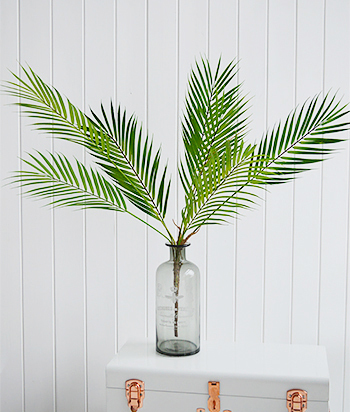 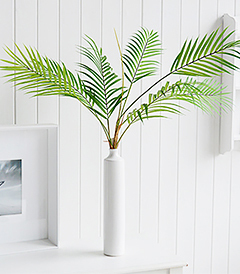 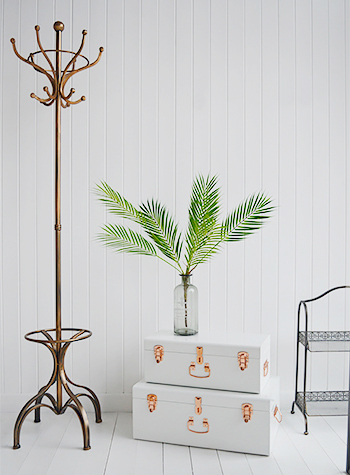 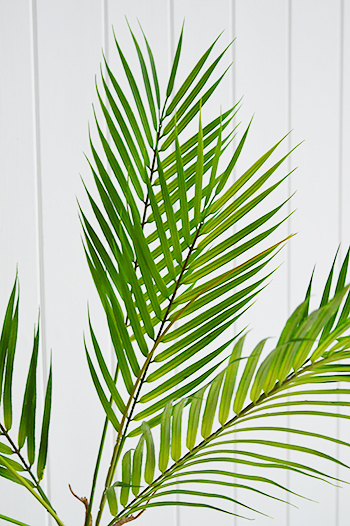 A fabulously realistic green palm stalk with seven fine palm fronds, each detailed leaf structure is variated with a lighter green nearer the stalks to resemble new growth. 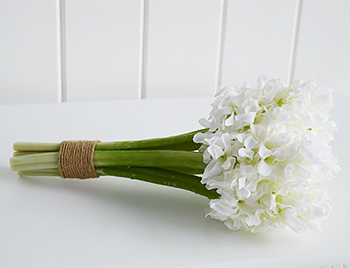 A bunch of 6 real looking artificial hyacinths with cord tie. 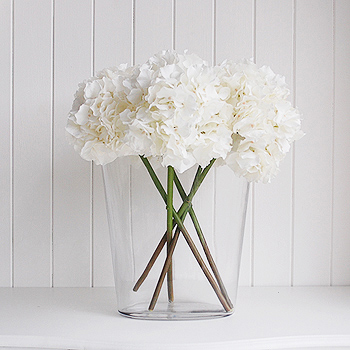 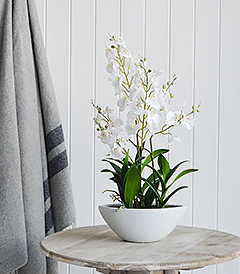 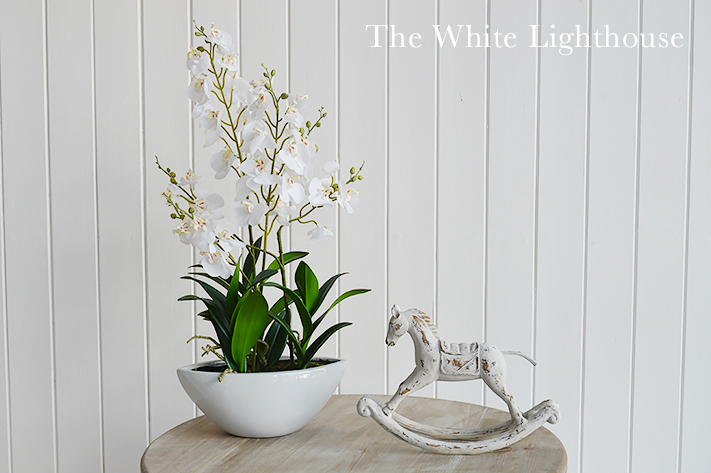 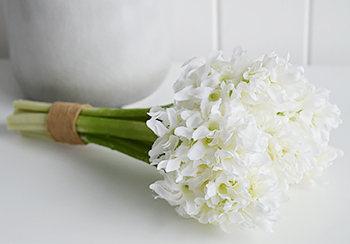 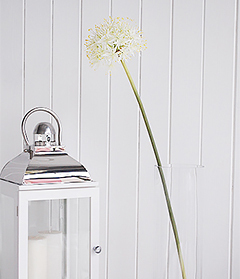 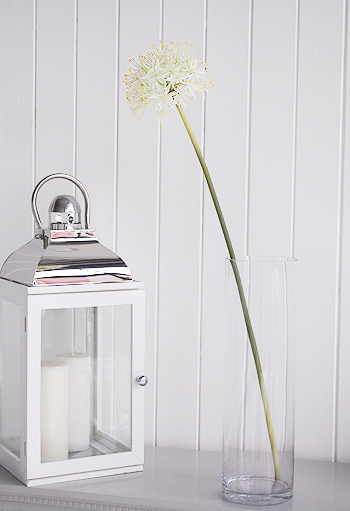 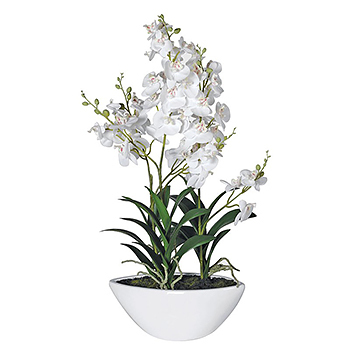 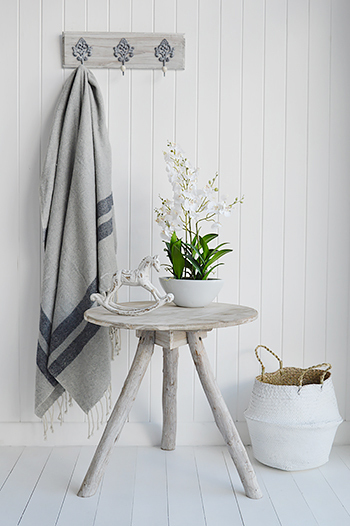 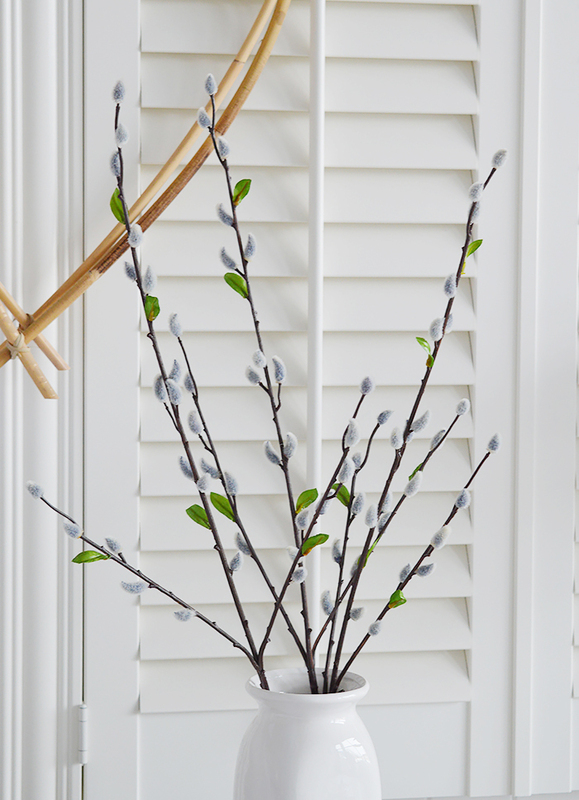 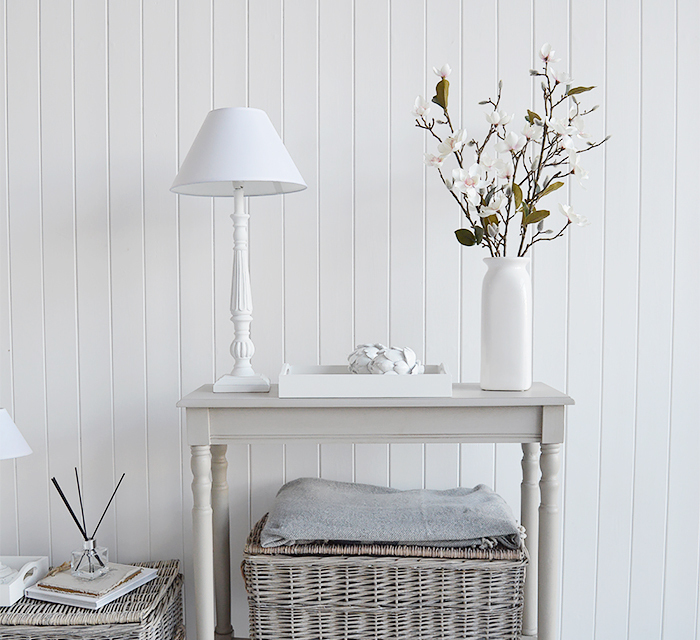 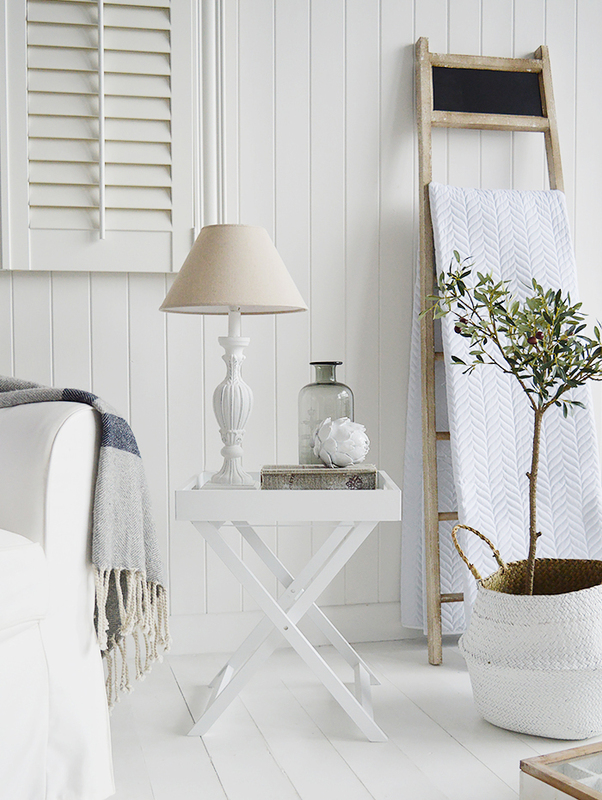 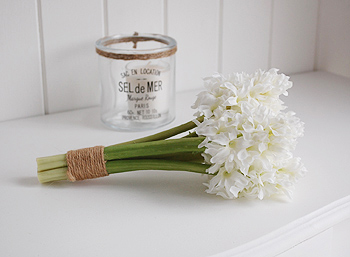 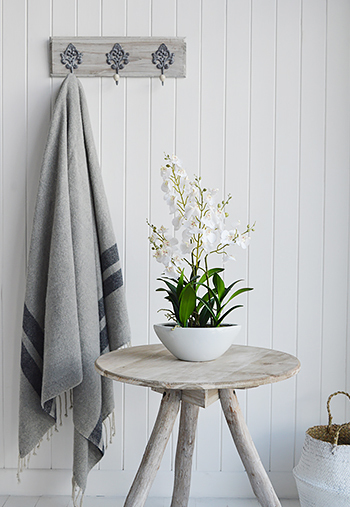 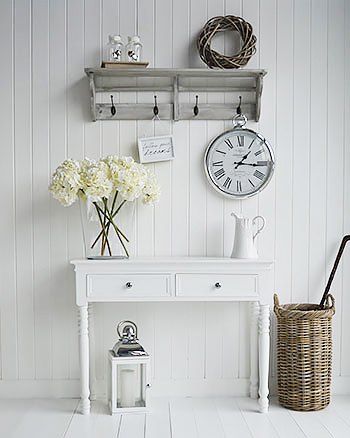 Set them casually on a side or hall table for a chic look.